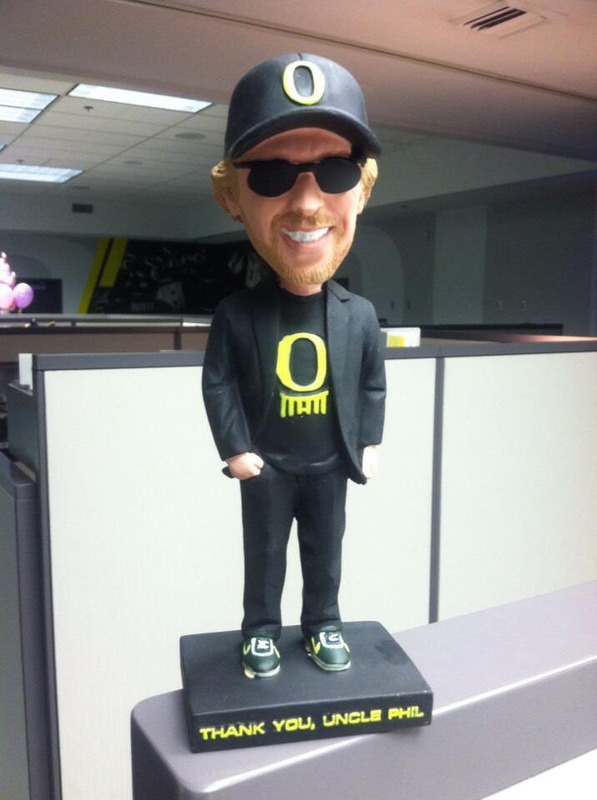 For Saturday's game against USC, Oregon is celebrating alum and Nike co-founder Phil Knight with a special bobblehead giveaway. Pictured below, the bobblehead depicts Mr. Knight in his usual black blazer and slacks getup, complete with a Matthew Knight Arena tee, Oregon cap and Nike sneakers. The bobblehead will be given to all fans in attendance.